Today, I wanna give you a destress technique that will relieve your stress immediately, anytime, and anywhere. Hello there my wonderful friend! How are you? It is my prayer that you are enjoying life. So many people are unable to enjoy life and it is most likely because they are practicing doubt, fear, and worry. When we practice doubt, fear, and worry, we practice being stressed. The opposite of stress is being relaxed. There is a stress response, and a relaxation response. Often times the stress response is activated by habitual thoughts of fear of the future, which is frequently a lie. 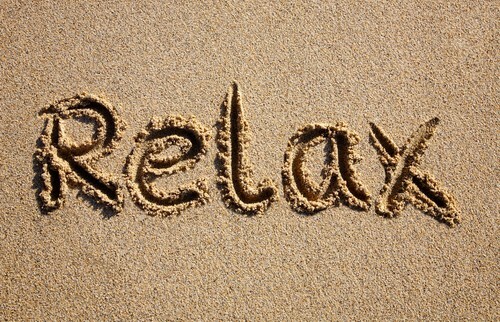 The relaxation response can also be habitual but first one must practice it. You have probably guessed that the destress technique I am going to write about is how to activate the relaxation response so that it may replace the stress response. The relaxation response is powerful. The relaxation response is so powerful that it has taught many others, and myself to be in a place of calm, certainty, and confidence in all situations. Could you imagine that? It is totally possible to live in a place of permanent stress relief by practicing the relaxation response, and that is why I want to teach you this technique today. 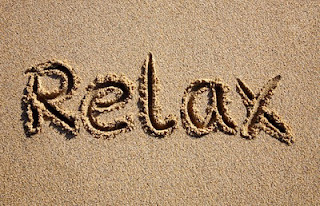 The relaxation response is super easy to learn, and can be practiced at anytime, and any where. Here are the steps to practice immediate stress relief through the relaxation response. Step one: Inhale slowly through your nose filling your lungs to full capacity. Step two: As you feel your lungs expand, notice the pressure of your lungs pushing down on your diaphragm (the muscle between your chest and stomach). Step three: Allow this feeling of pressure on your diaphragm to be the button that activates the relaxation response, and feel your entire body, and mind prepare to relax. Step four: Exhale slowly through your mouth and consciously imagine all of the thoughts and emotions of strain, and tension leave your mind and body with the out bound breath. Step five: Be aware of your mind clearing and your body giving way to gravity into a relaxed state. Step six: Enable your entire body, and mind to practice being relaxed. Step seven: Repeat steps one through six. There you have it! The relaxation response. Practice makes nearly perfect so practice, practice, and practice some more. This is easy, and if you want to destress yourself, you will put this at the top of your priority list. Practice the response three times a day, or practice it at the top of every hour. Practice this exercise after you eat, or better yet, as you eat. Figure out a way to implement this easy destress technique and you will be super duper at permanent stress relief. If you love what you have read here, please enter your email at the top of the blog to subscribe and get free updated information on how to destress yourself. Don't forget to confirm your subscription.